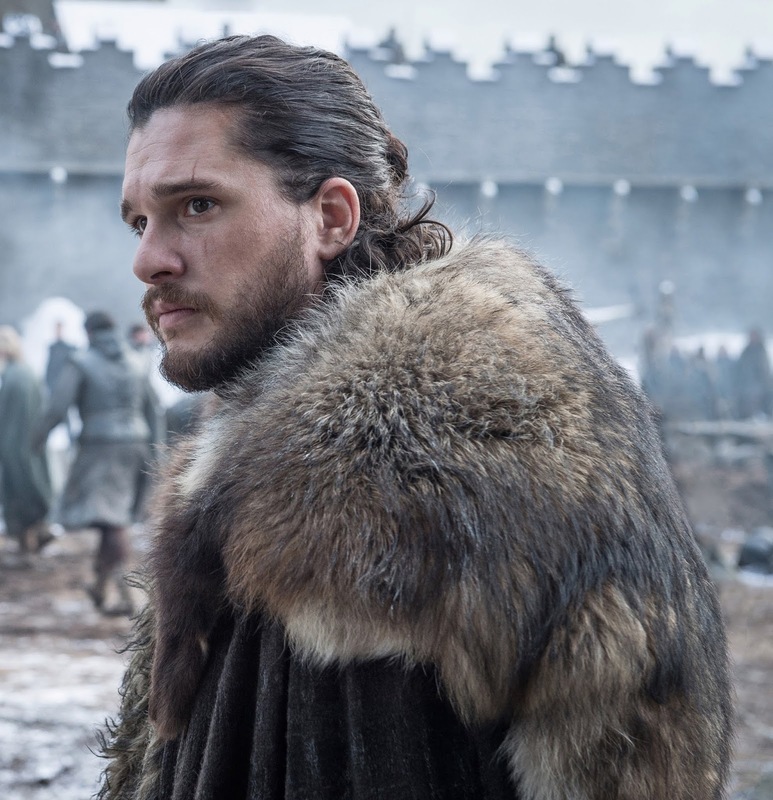 Our first look at Game of Thrones season 8 is here and our dwindling cast of characters are gearing for a fight. With season 8 kicking off in Winterfell for a majority of those still among the living we are about to get more strategic and potentially volatile meetings. The backgrounds of these new photos are often obscure enough to disguise exactly what might be taking place but we wouldn’t be surprised if a lot of these photos took place within the same scene. For many of these characters we are seeing either the same outfit or a slight variation of one we have seen before. Every part of any character’s costume is a deliberate choice by costume designer Michele Clapton and can give insight into a character’s mindset or where they are at any given time so fans will have plenty to mine even with this first batch of promotional photos. Since Winter has long since arrived in the North many of these characters are appropriately bundled up for the night is dark and full of layers. Here is what you should know about the Game of Thrones season 8 photos. 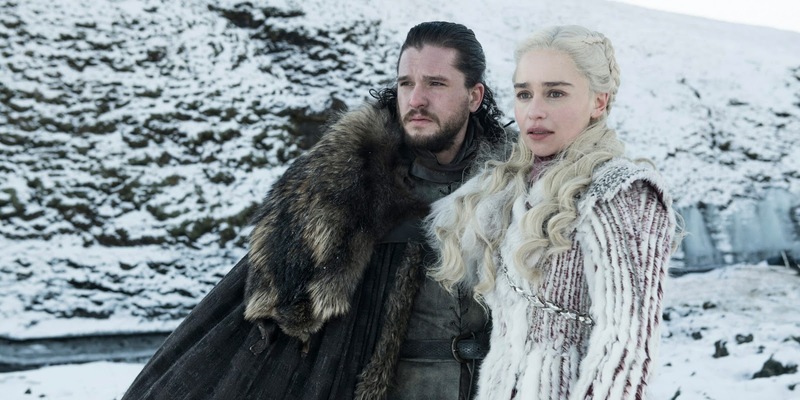 Jon Snow and Daenerys Targaryen now strongly set up as the heroes of Game of Thrones are en route to Winterfell and it’s safe to say that between these photos and the five seconds of released footage from the show they have arrived. Jon does not look like his outfit’s changed all that much but his homecoming doesn’t seem to be going as planned if the look on his face is any indication. Dany’s look has changed. 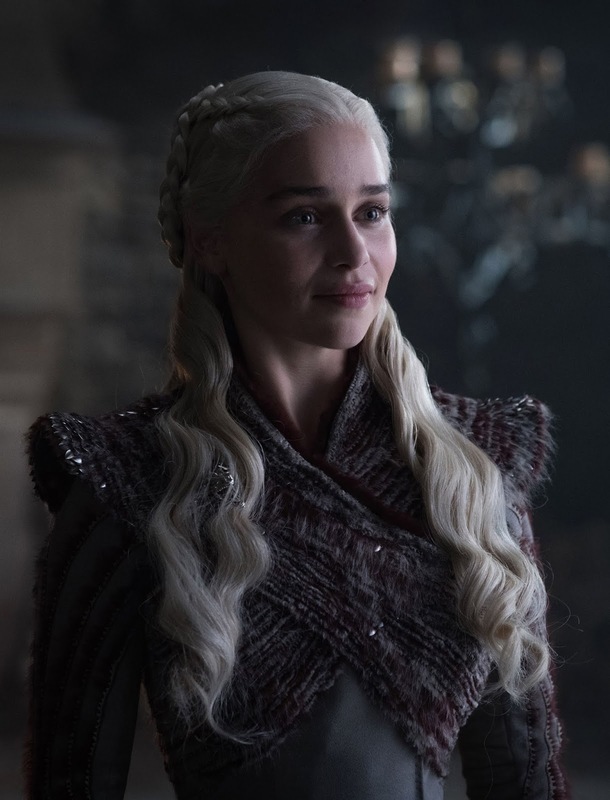 Her coat which she first debuted in Beyond the Wall now has red striped fur in the ridges of white to signify the iconic Targaryen red or possibly even Drogon like the first version was a nod to Viserion. 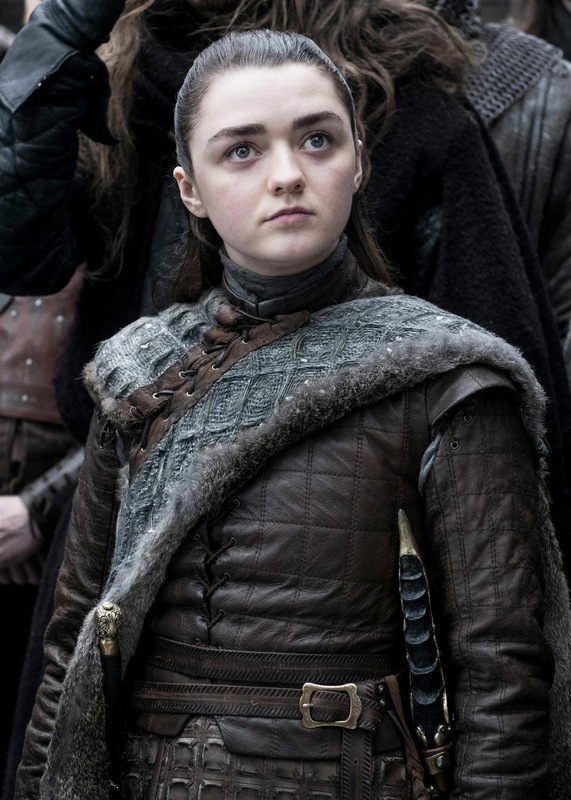 Her outfit inside castle walls likely Winterfell’s is a variation of her season seven look albeit with an additional layer of red fur that looks like it could act as a protective chest piece. Her brooch which featured 3 dragons is ominously covered by her hair. Sansa and Arya Stark don’t look too pleased as they both don their own versions of weaponry. 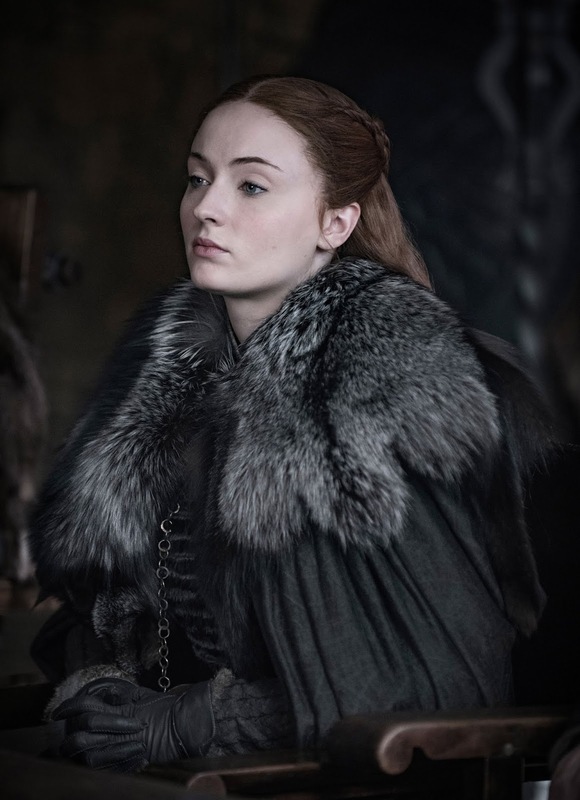 Sansa does not take off any of her furs as she sits in Winterfell’s main hall and listens to someone talk. Is it Dany or someone else that showed up on Winterfell’s doorstep? Arya is armed with both sword and dagger cautiously watching as a scene plays out potentially Jon and Dany’s arrival in Winterfell’s main courtyard. Littlefinger is out of the picture the role of chief advisor and meddler in Winterfell is up for grabs. And the men who are advising our favorite Starks and Targaryens will have more than the Long Night to grapple with. Tyrion takes up Littlefinger’s mantle above the courtyard looking displeased at whatever he is hearing or seeing. 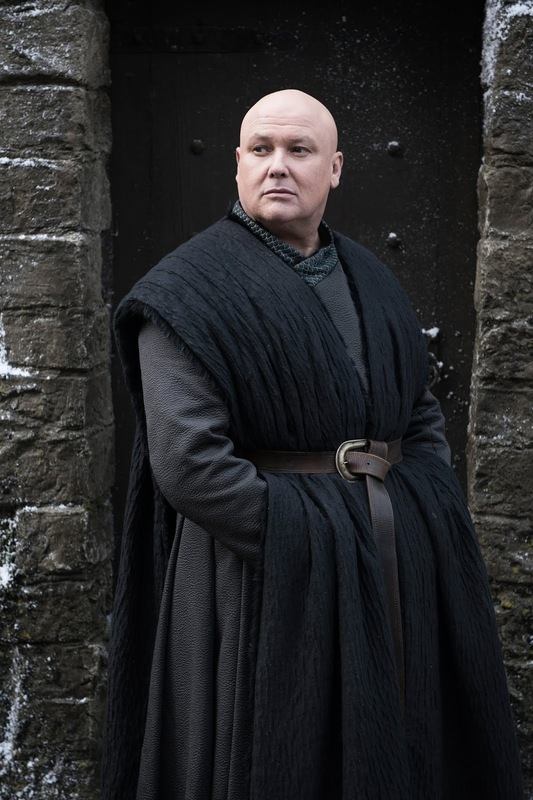 Varys watches on as his normal outfit gets a winter variation. Those colors black green and gray could signify both House Stark and Targaryen to show where his allegiance now lays. 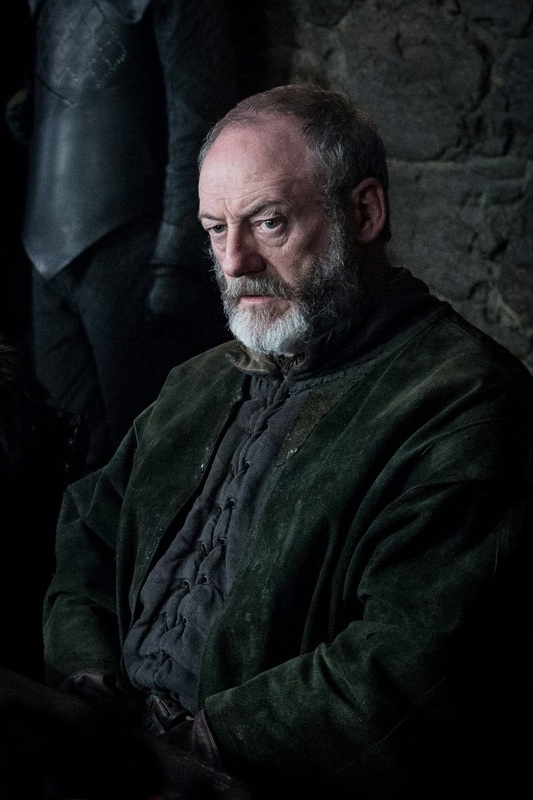 Davos Seaworth fully in green listens to a conversation. He might be Jon’s most trusted advisor but he is never been interested in those power grabs. Samwell Tarly and Bran Stark who is now the Three Eyed Raven don’t look as though they have changed at all since we last saw them. 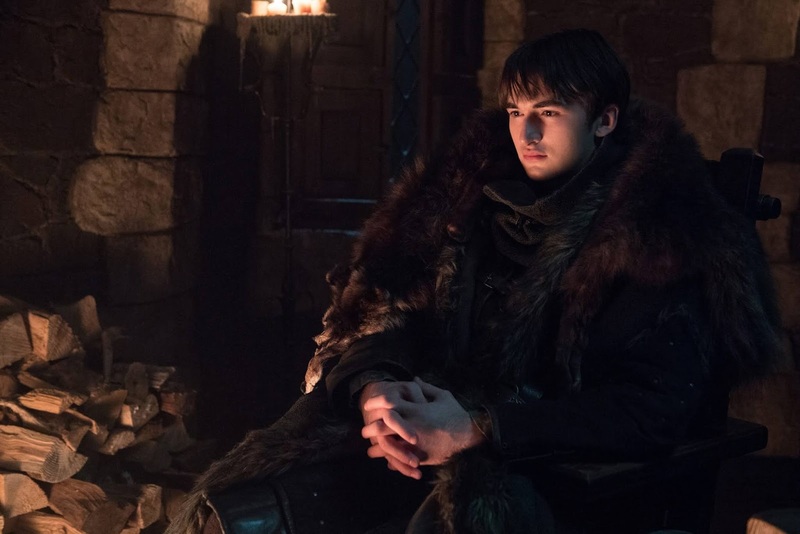 Bran sits by the fire looking even more melancholy than usual after the Wall fell. 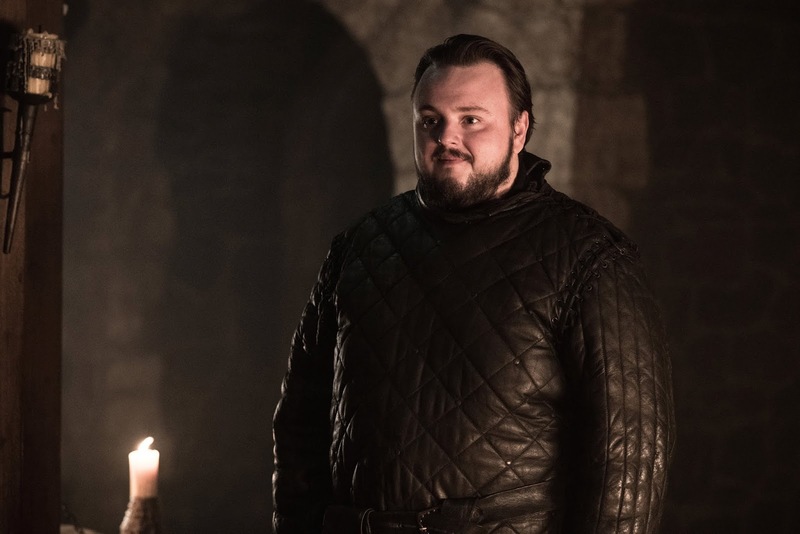 Sam appears to either not be aware of what happened at Eastwatch by the Sea or has set his eyes on a familiar face. 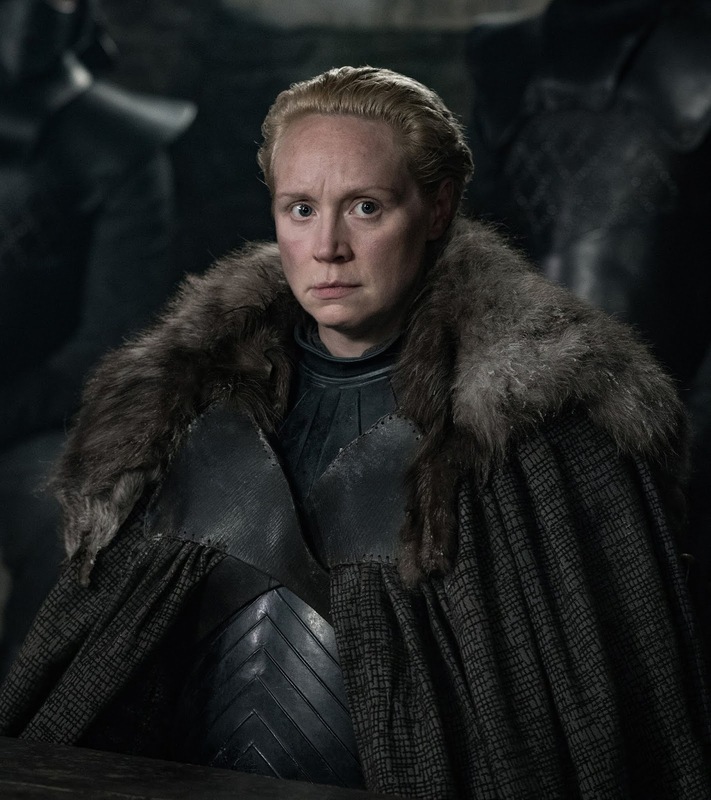 Brienne of Tarth, the protector of the Stark sisters also looks uneasy inside of Winterfell as 2 members of the Unsullied stand behind her. Jaime Lannister has visibly changed. His hair is shaggier he is grown more of a beard and his armor has changed. 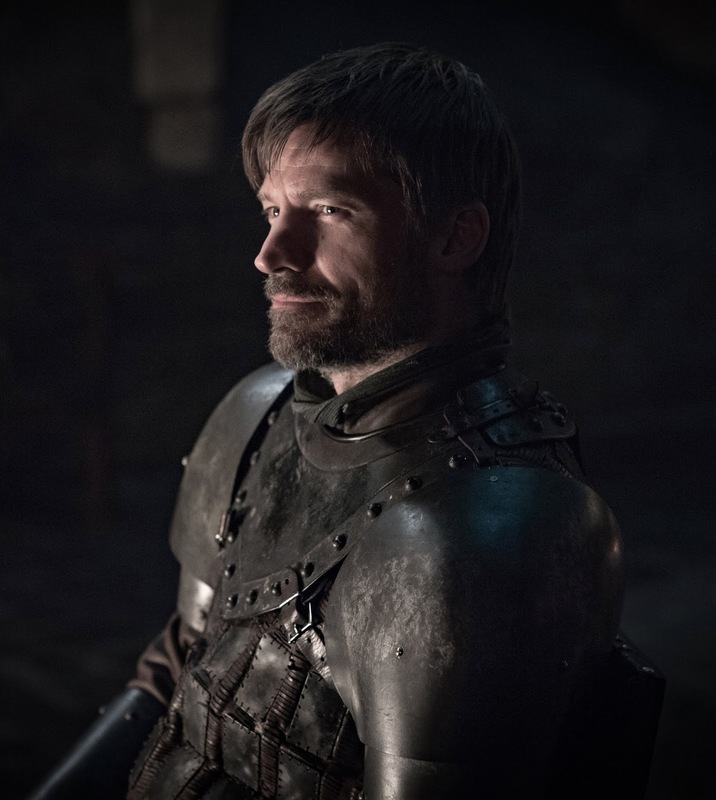 He already ditched the Lannister armor for something much more simplistic and friendly to travel in on the road but he is now wearing more Northern style armor. Is that something he picked up along the way or was he fitted with a new set of armor after he arrived in Winterfell? Or did a familiar blacksmith make it for him? Also gone is any hints of Lannister red in favor of something much darker and more neutral, politically speaking. 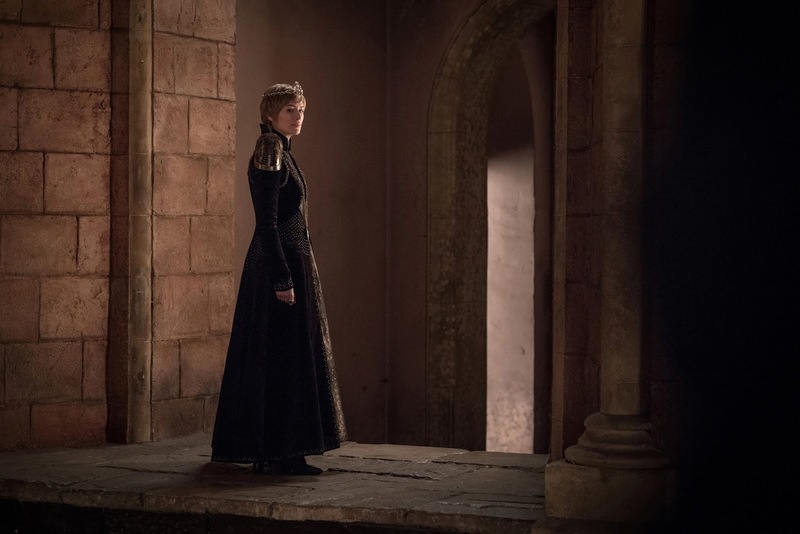 After Jaime left her in the season 7 finale Cersei Lannister’s outfit has taken a more somber tone in season eight. She is added more armor to pad her shoulders this time around. 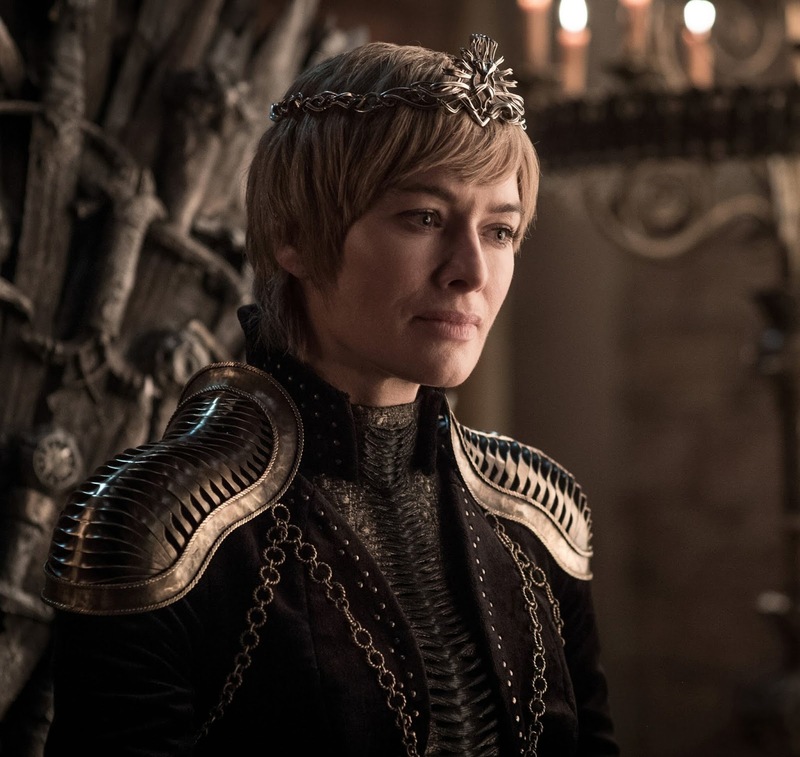 She is back to her scheming ways on the throne and with some ridges on her dress that look very similar to the back of Dany’s season seven coat she might have more than just taking down a Targaryen queen in her line of fire.